When parents first discover that their child has developed a birth injury such as cerebral palsy or birth paralysis, they often have far more questions than they do answers. 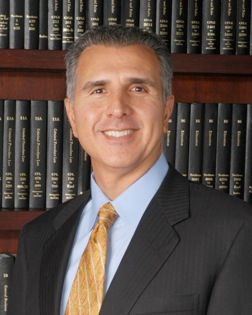 The personal injury lawyers of Daniel P. Buttafuoco & Associates would like to answer some of the most commonly asked questions in an effort to assist parents through this very difficult time in their lives. Failure to adequately treat any changes in your health needs during pregnancy. Some of these changes might include weight gain or loss, amniotic fluid leakage, premature labor or contractions, or a change in blood pressure. Misinterpretation of your medical history, including failure to obtain complete medical records for you and your family members. Failure to diagnose or treat a Group B Beta Hemolytic Streptococcus (“strep”) infection in either the baby or mother during pregnancy, thereby increasing the risk of brain damage. 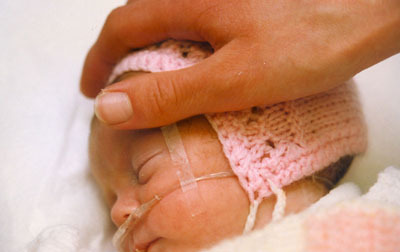 Failure to respond to a change in the baby’s condition during labor. Incorrect diagnosis of the baby’s size. This complication could lead to a large baby becoming stuck in the birth canal, causing shoulder dystocia or brain damage. Delayed order for an emergency cesarean section in the case of fetal distress, trauma, or infection. This delay is often the cause of fetal brain damage. If you are unsure whether you encountered any of these problems during your pregnancy or delivery, our personal injury lawyers can assist you in obtaining statements and records from your doctor and/or hospital. Parents who file personal injury suits with our lawyers should be aware of the full impact that cerebral palsy or other birth injury might have on their family. In addition to having muscle coordination problems, children with cerebral palsy will also experience other challenges in their everyday life. As they begin to learn about the world around them, parents may notice that they learn at a slower rate than other children. In fact, up to 50 percent of children with cerebral palsy have a learning disability that requires special teaching aids and techniques. These educational programs can be very costly. Our personal injury lawyers can help parents to recover some schooling costs. Even outside of school, everyday activities can be extremely difficult for children with cerebral palsy. Depending on the extent of the cerebral palsy, speaking, chewing, and swallowing might take intense concentration. Speech problems may include slurring, slow speech, and grimaces while speaking. It is estimated that seizures are common in up to half of children with cerebral palsy. During a seizure, the brain sends a rapid series of irregular messages to the body, causing the child to stop what he or she is doing and either cease movement or shake uncontrollably. Seizures can last anywhere from a few seconds to a few minutes. Fortunately, effective medication is available to reduce or eliminate the occurrence of seizures. To learn more about the lifetime support programs available for children with cerebral palsy contact Daniel P. Buttafuoco & Associates. The best way to assist timely diagnosis and treatment of a birth injury is to immediately report any unusual behavior to the child’s medical provider. Depending on the type and severity of the condition, cerebral palsy may not become apparent until several months after the baby’s birth. In general, the best course of action is to trust your instincts. If your baby seems unresponsive or “behind” in their development, seek medical attention immediately. It is essential for you to seek legal representation as soon as possible. In each state personal injury lawyers must be contacted within a specific timeframe, called a statute of limitations. This timeframe is in place so that the appropriate documents, statements, and medical records can be located in a timely fashion. Protect your rights; as soon as you suspect that your child’s birth injury was caused by medical negligence or malpractice by a doctor, contact Daniel P. Buttafuoco & Associates. Birth injuries can be caused by a number of factors, both natural and those caused by doctors and medical staff. It may be impossible, at first, to determine whether your child’s birth injury could have been avoided or lessened at the time of your baby’s birth. Our personal injury lawyers have years of experience in combining medical records with statements from experts to determine whether your doctor took every precaution necessary to minimize the risk of birth injury. If you suspect that medical malpractice contributed to your child’s birth injury, contact Daniel P. Buttafuoco & Associates today by calling 1-800-Now-Hurt. We can help you to determine fault in your birth injury case, and to obtain the compensation for the emotional distress and medical bills caused by the birth injury.